Broadband microwave cabling in cryogenic systems require a special combination of thermal and microwave properties. Moreover typical cryogenic setups are very confined, and lead to densely-packed situations, where the form factor and flexibility of the cabling is critical. Bending and installing (semi-)rigid, or hand-formable, coax cables can be quite complex and time consuming. Also, they wear out upon multiple bending-cycles and cable failure is often an unnecessary reason for failed cooldowns. These problems can be solved with cabling optimized for cryogenic setups: Cri/oFlex®. 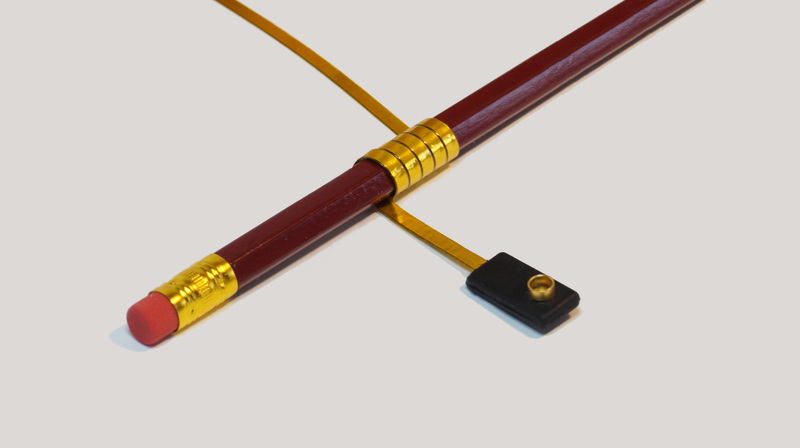 The flex cables are available in various standard bandwidths; 0-2 GHz, 0-6 GHz, 0-12 GHz, or 0-18GHz. Upon request we are able to provide higher bandwidth Cri/oFlex®, currently up to 26.5 GHz (up to 40 GHz with mini-SMP connectors is under development). Higher signal bandwidths increases the requirements for accurate impedance matching and precision engineering of all components; which is reflected in the price. The flex cables are available in the following standard lengths: 10, 20, 30, 40, 50 cm (4, 8, 12, 16, 20 inch). Upon request we are able to provide flex cables up to 1.2 m (4ft) (and if needed even longer). For more data at different frequencies contact us to request the datasheet. We offer customizable attenuation, thermal load and even characteristic impedance. 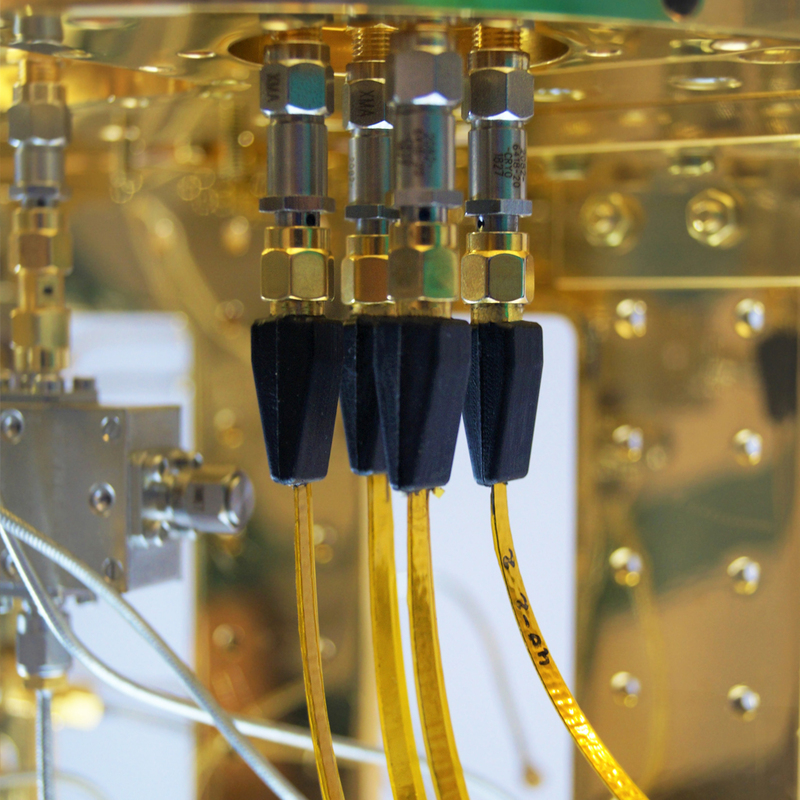 The flex cables can be used in two different ways: in between temperature stages (for example from RT to 4 K in a table-top system), as well as on the same stage (for example on the mixing- chamber stage at 10 mK in a dilution refrigerator). In a typical configuration from RT to 4 K, with a clamp at ~30 K, a single-channel CF2 flex will induce about 0.4 mW of thermal load at the cold stage. In a typical configuration from 300 mK to 10 mK we expect a thermal load of about a few nW. Is your favourite connector not in here, like G3PO, or others, please let us know. If we get enough request and have engineering capacity we will develop it. Currently we have our flex cables available in single-channel configuration (Cri/oFlex® CF2 product line). Our multi-channel flex cables (Cri/oFlex® CF3 product line) is in beta-testing and development. See the product pages for more information. The (microwave) signals are relayed through a multi-layer circuit on a flexible substrate, usually only ~300 um thick (~11 mils). Therefore the flex is extremely flexible, which is sustained at cryogenic temperatures and can be used to bring signals to moving stages. 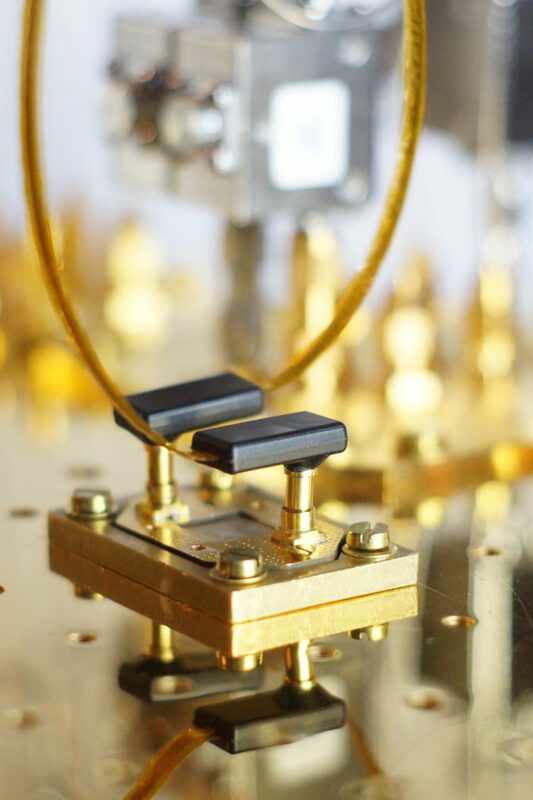 For special applications that are extremely sensitive to the transfer of vibrations, like in many cryogenic scanning probe microscopes, we can realize microwave transmission circuits down to 25 um thick (~ 1mil). Due to its flexibility, the flex cables allow a remarkable small bending radius, of less then 1 mm (about 40 mils), and bending shows no influence on transmission properties. Even bending it around sharp corners appear to have no influence, but is not advised. The combination of the flexibility and small bending radius of the flex cable make it very easy to install the cables, especially in compact densely-packed spaces as in a table-top system or a insertable sample space, due to its very small form factor. Everyone who has worked with semi-rigid or hand-formable coaxial cables, knows that they wear out after many bending cycles. This typically causes cable resonances, or worse, loss of transmission. This can lead to failed cooldowns, which is quite annoying. The flex cables are not effected by bending and therefore an ideal replacement for stiff coaxial cables. Became interested and want to see what we offer? What system are you using? Already know what product line you need? Go directly to the product page! Ultra-flexible RF and microwave i/o for scanning probe microscopes such as STM, AFM, MRFM and other vibration sensitive instruments. 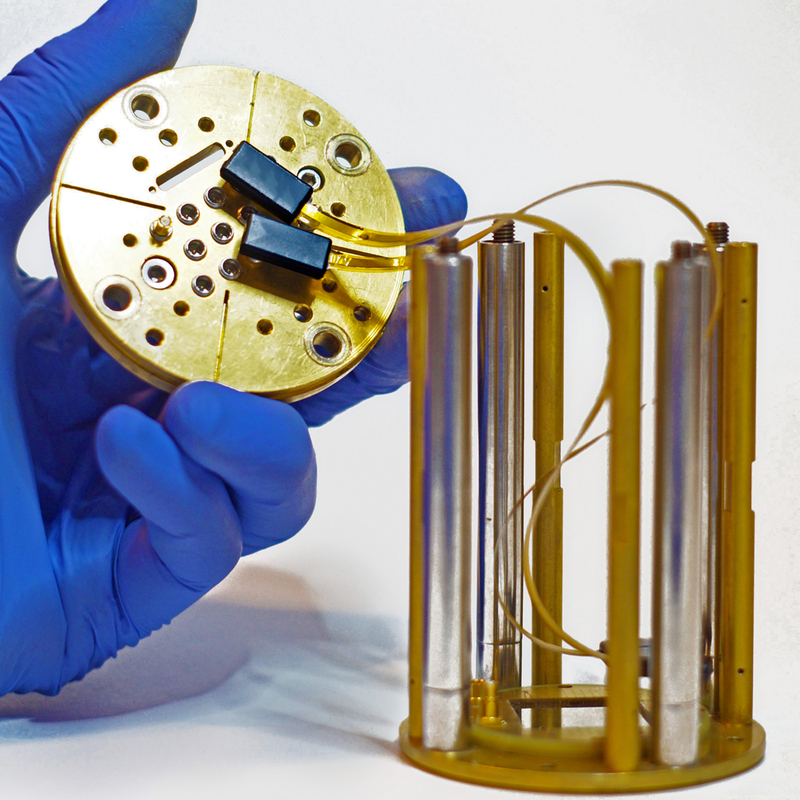 This flex allows to transmit your signal, but avoids the transfer of vibrations to your probe. Single channel microwave i/o for densely-packed sample spaces like table-top cryostats and MXC-stages in dilution refrigerators. Simple installation, small form-factor and reduced thermal loads, allow an increased number of microwave lines in cryostats. 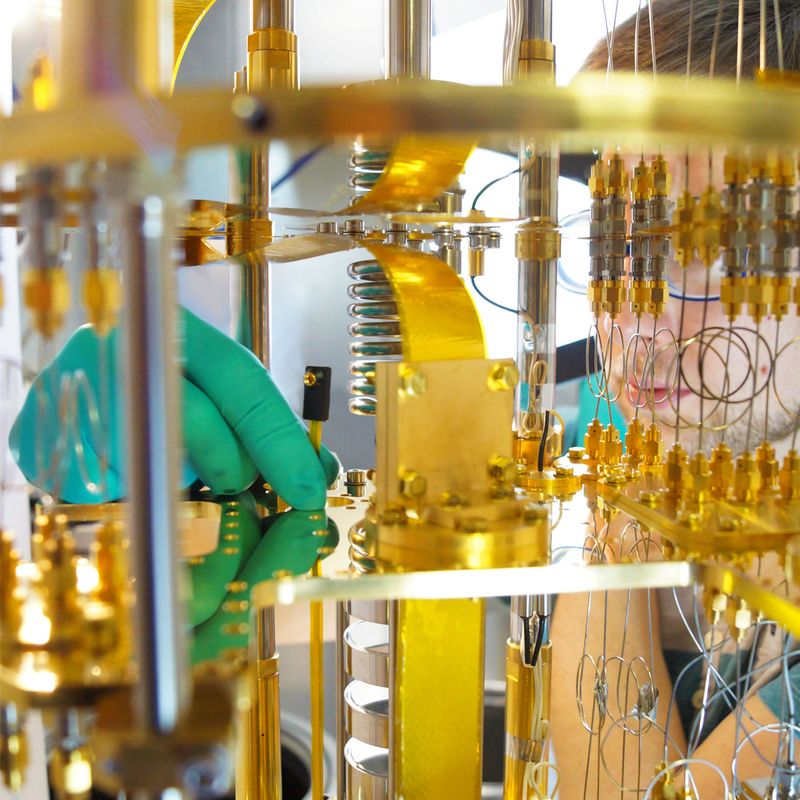 Massively scalable multi-channel i/o for dilution refrigerators from RT to 10 mK, optimized for quantum computing applications with build in on-flex circuitry for signal conditioning. Cri/oFlex® CF3 product line (currently in beta-testing & development) allows for multi-channel signal transmission on a single-flex cable from room temperature to 10 mK. Using integrated filtering it allows applications such as microwave drivelines, fast-flux lines (or DC pulsed), pump lines and DC-lines. Do want to get involved? Cri/oFlex® CF2 product line (available now) allows for single-channel, unfiltered, signal transmission in bandwidth's of DC-18 GHz, as a replacement for current coaxial-solutions. Due to its flexibility is allows for high-density complex installations of many lines on and in between any stage. Cri/oFlex® CF2 flex cables are ideal for use in small sample spaces, like a puck, that can be inserted into a cold dilution refrigerator. Fitting a microwave experiment in such a space, using handformable, or semi-rigid, coaxial cables is usually quite difficult and damages the coax. With CF2 this is easy peasy. Table-top cryostats and dippers often have very limited space to install cables. Moreover these cables wear out pretty quickly. Unsuccessful cooldowns due to cabling failures and complicated installation of cables in cramped setups can be frustrating and time consuming. A CF2 Cri/oFlex® induces about 18 uW of heat-load at the 4 K stage, and therefore allows more cables than with typical other coaxial solutions. Cri/oFlex® is designed for lab environments with multiple installation cycles and cooldowns, and where various people adjusting the setup are common practice. Cri/oFlex® is narrow, thin and extremely flexible at all operating temperatures, which allows for easy installation without affecting signal properties. Moreover, our tests have proven that various bending- and cooling cycles do not affect the performance of the cables. CF1 provides i/o solutions for scanning probe microscopes (SPM), such as STM, AFM, MRFM and more. 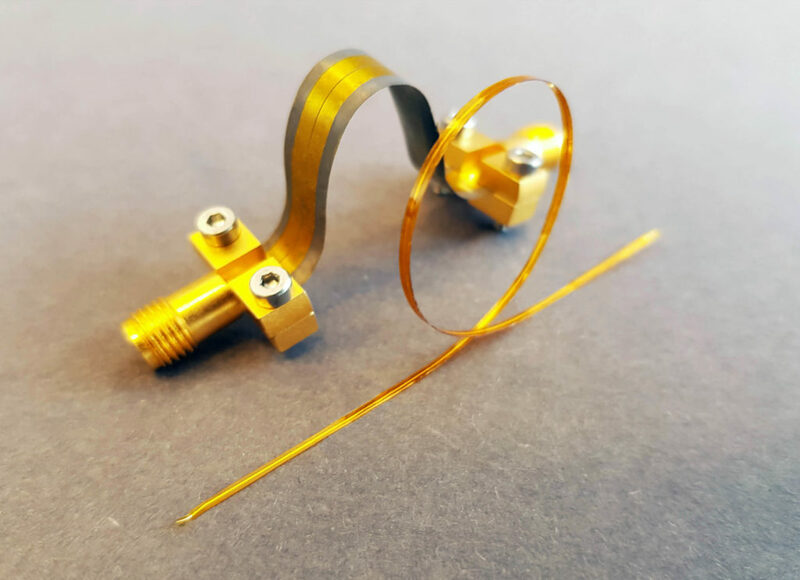 By using (microwave) transmission circuits on flexible substrates as thin as 25 um (1 mil), we are able to guide various types of signals to-and- from the tip with total vibration isolation. Various connector options are possible such as SMP, SMA, SMP-mini, custom PCB and solder pin.